Apartment Blue Danube is situated in a perfect location directly in the historical part of the capital of Slovakia - Bratislava, very close to Danube River. All interesting sights are around - Slovak National Museum, Slovak National Gallery, National Theatre, Main Square, Slovak Philharmony etc. There are many restaurants and bars around. In case of your interest you can take a boat trip to Vienna, Budapest or Devín Castle from a Personal Port and you need only to cross the street. Personal port is in a distance only around 100 meters from the apartment. The apartment is situated on 2nd floor without lift. The apartment is very cozy and nicely furnished with a new furniture. It guarantees a privacy for its quests. There are two separated parts of apartment available. First one is suitable for 2-3 people and contains the following: room with 2 separate beds and one fold-out sofa, separate toilet and separate bathroom. In case you would like to stay 3 persons in this room additional fee of 800 Skk (around 24 EUR) will be charged. The second part is bigger one. It is suitable for 4 people and it consists of :bedroom, living room, separate toilet and separate bathroom. Both parts have an own security locking which guarantees to the quests an absolute security. Both parts offer you TVs with more than 50 channels. Towels and bed linen are available free of charge. 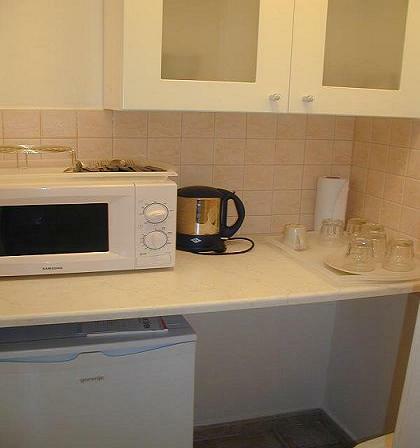 There is also a small kitchen in the apartment with microwave, fridge, portable stove and dishes you can need. The kitchen is shared. The apartment is non smoking. Parking: guarded underground garages are around 100 meters away and there is also possible to park at a street as well. City tax from accomodation is not included in the price. It is 50 Skk (1. 5 EUR) per person per night. With this tax the price is final. In case of bigger group you can be asked for a damage deposit of 100 EUR which will be returned to you at your departure. Important information: because the accomodation is in a private apartment please be so kind and let us know your exact time of your arrival by sms on tel. number which you can see in your booking details asap so that we can wait for you outside at Medena street 10 with your keys and make your stay comfortable without waiting. First part of the apartment (double room) is suitable for 2-3 people and contains the following: room with 2 separate beds and one fold-out sofa, separate toilet and separate bathroom. The second part is bigger one (apartment). It is suitable for 4 people. 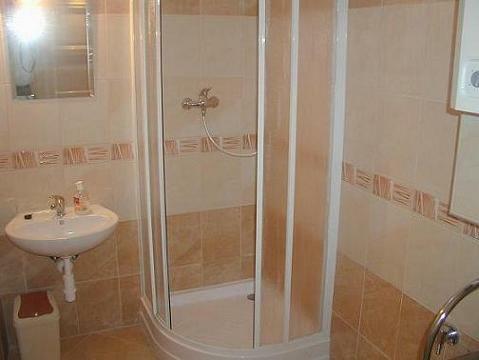 It consists of: living room, separate toilet and separate bathroom. There is a cash payment required at the first day of arrival. 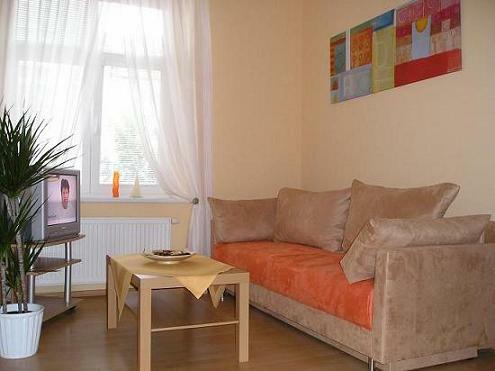 The Apartment Blue Danube is situated directly in the historical centre of Bratislava. From Airport take bus no. 61 to Main Railway Station. Change to tram no. 13 and get off at Nam. L. Stura. Cross the tram tracks and walk to Medena Street. 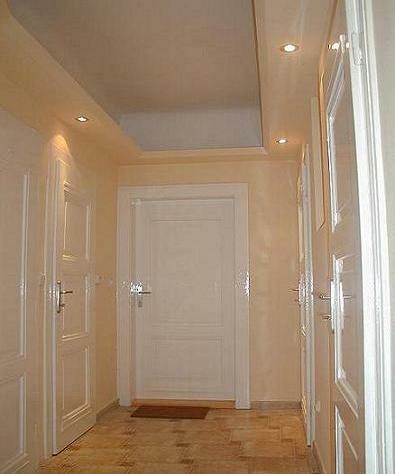 Apartment entrance is located in the second yard of Medena Street number 10. (the whole way: 55 minutes). From Main Train Station take tram no. 13 and get off at Nam. L. Stura. Cross the tram tracks and walk to Medena Street. Apartment entrance is located in the second yard of Medena Street number 10. From Bus Station take bus no. 50 and get off at Safarikovo Square. Then you can see Pizza bar Little Caesares (on Tobrucka street) and you go on Tobrucka street to Medena street 10. This is principal entrance to the apartment. (Medena street Nr. 10). Apartment entrance is located in the second yard. In case of an interest we will arrange a taxi transport for our guests. Nearest airport: Bratislava airport - 10 kilometres.